When I first met custom knife maker, Craig Camerer, what struck me about his knives was they looked slightly different from the majority of the other forged blades at the show. After studying his knives for a while I realized what it was. Craig’s knives…even the big Bowies and camp knives have a subtly to them. While on the one hand, Craig’s knives can be very large and meant for serious work. At the same time, they feel light and balanced in the hand. 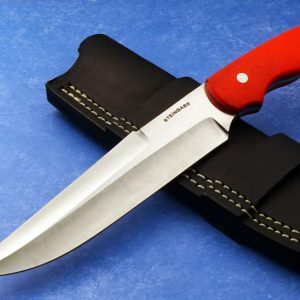 A big knife you could use all day without the fatigue that many knives can give you. 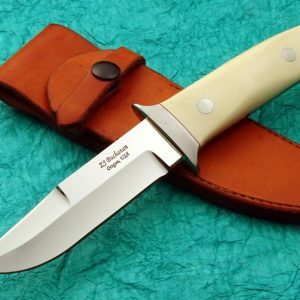 Craig makes a wide variety of knives and styles. He has made folders on occasion but primarily builds knives with 7 -11″ blades. His favorite steels are W-2 for its edge holding ability; and the temper line that W-2 shows, as well as, 9260 carbon steel. He explained to me that it was similar to 5160, but would hold an edge a little bit better. 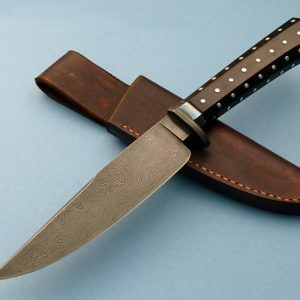 For his Damascus, he prefers 1084/15n20 for the contrast in the steels and its edge holding capabilities. From the tip of the blade to the end of the handle, Craig’s knives are clean and consistent. Craig uses a variety of handle materials for his knives; depending on the intended use. 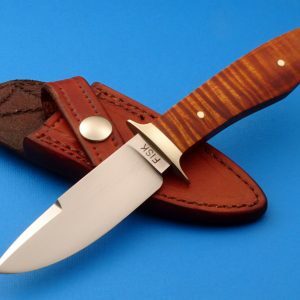 His work knives feature G-10 or Micarta. Craig does an excellent job with the contouring of the handle giving the knife great ergonomics. That being said, Craig’s favorite handle materials are Stag and the different Ivories. He likes the warm feel of the materials and that they have a timeless quality to them. 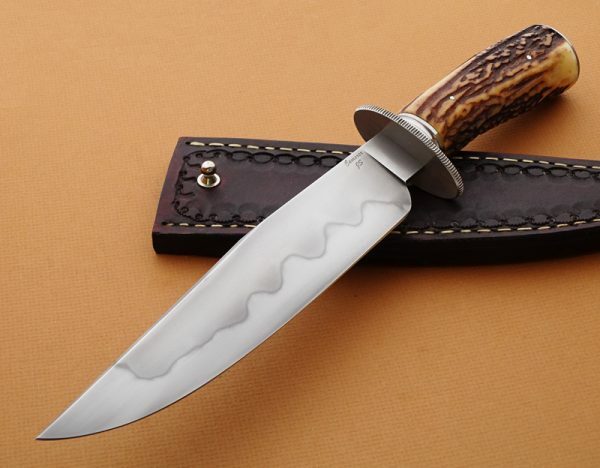 Among my favorite knives of Craig’s is his Rock House Trail Bowie with Stag handle shown below. 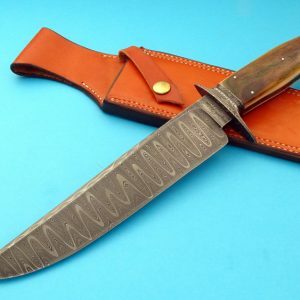 His ability to incorporate several different design elements into each knife allow him to very unique work for his customers. Each knife comes with a leather sheath that Craig makes. Craig skills were put on display when he was the champion on the television show “Forged in Fire!” Craig became a ABS Journeyman Smith in July 2018 when he passed his ABS Master Smith performance test. He is now cleared to test for Master Smith.